Ubisoft has confirmed that their winter sports game Steep is no longer coming to the Nintendo Switch console. Ubisoft revealed Steep as one of the very first games that will be ported to Nintendo's platform, however as other games from the publisher launched over the years, Steep did not see any new information. Now, the company has confirmed the game is no longer in the works. 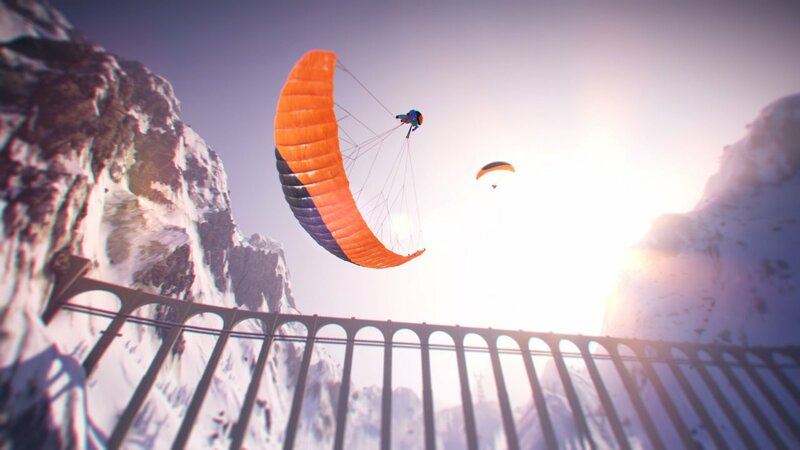 The company sent a statement to Polygon last week, saying "The Steep team made the decision to stop development on the Nintendo Switch platform to focus on bringing new live content and challenges to [existing] Steep players instead." Steep did launch on PC, Xbox One, and PS4 in December 2016 and has received many updates and DLC since. There is currently 1 member and 141 guests on the website right now. "A refreshing take on a dormant genre that suffers from design and UI issues"
Steep (PlayStation 4) is ranked #923 out of 1436 total reviewed games. It is ranked #81 out of 138 games reviewed in 2016.